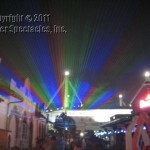 WEBB Party, San Antonio Fiesta, April 8, 2011 | Laser Spectacles, Inc.
Laser Spectacles, Inc. had a blast at the San Antonio AIDS Foundation’s WEBB Party on April 8, 2011. 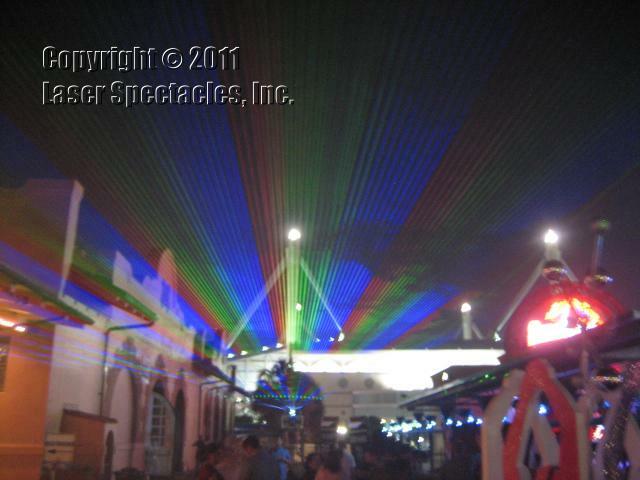 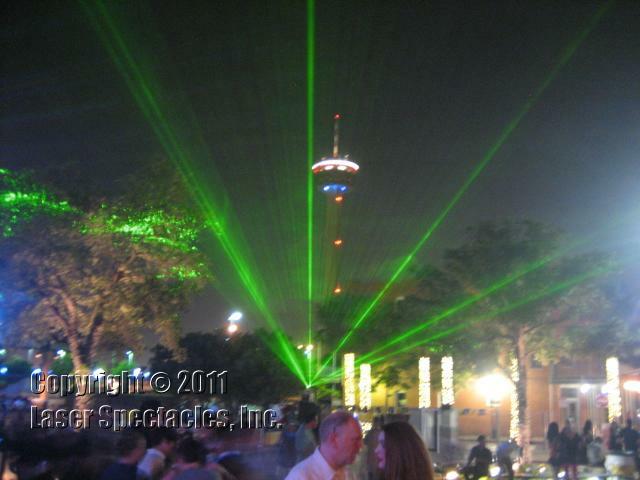 It was held at historic Sunset Station in downtown San Antonio; the theme was futuristic glam – “Supernova”; and we used lasers to bring the party into the future. 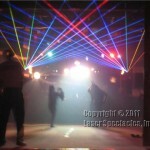 After all, it’s the 21st century, and we were promised that lasers would be all over the place, right? 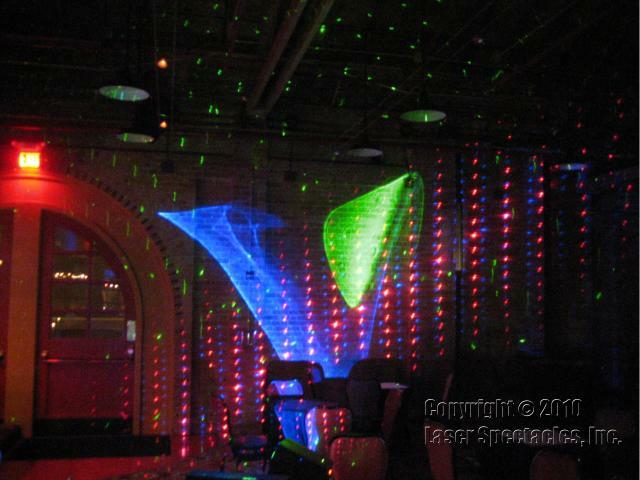 At this party, the lasers were all over the place! 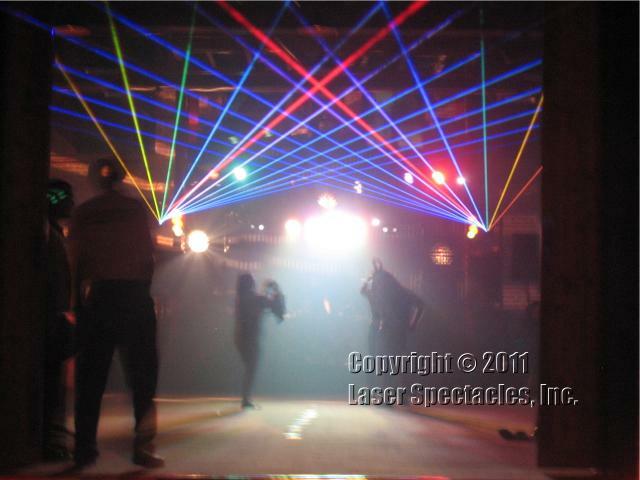 Color lasers looked good, too! 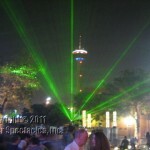 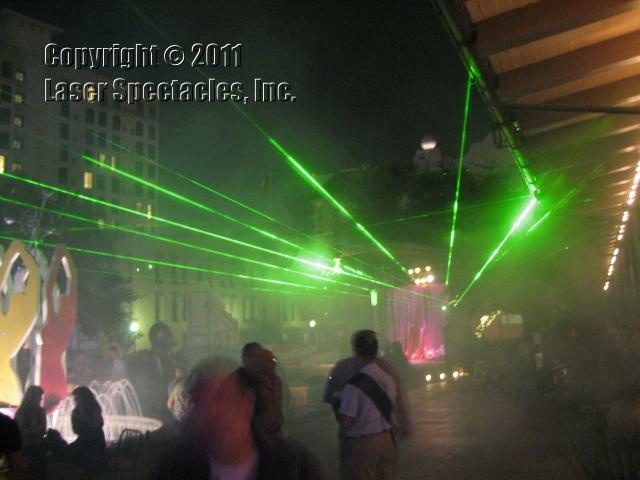 We had lasers out in the courtyard creating ever-changing beam sculptures overhead while people entered the party. 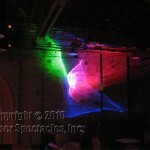 At 10 PM, the laser really kicked off with a laser “Supernova” presentation scheduled once it got good and dark. The specially choreographed presentation featured graphics on the tall “Alamo-like” wall of Sunset Station, and laser beams bouncing off mirrors and terminating on the buildings around the area. 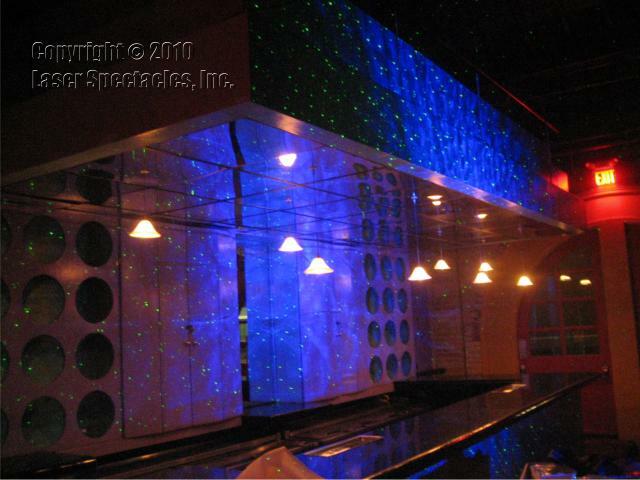 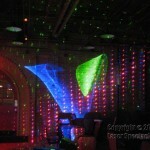 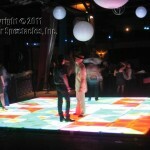 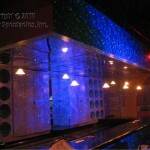 In the club room – “Club Nova”, we had two RGB laser beam projectors working with DJ Jenntonic all night long. 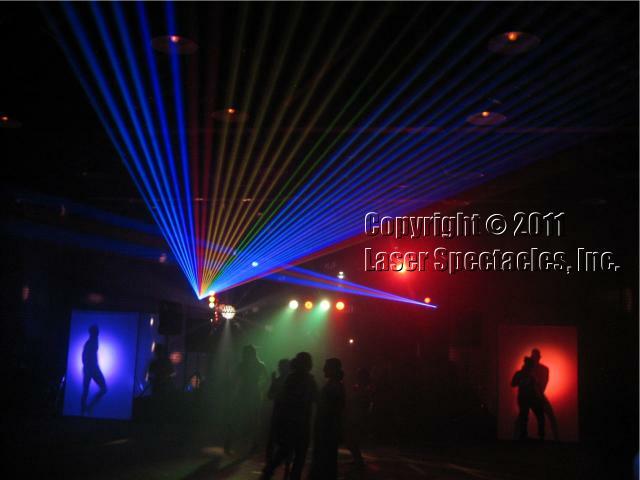 And we had lumia projectors and Blisslights running inside the club room lounge to push the party over the edge. 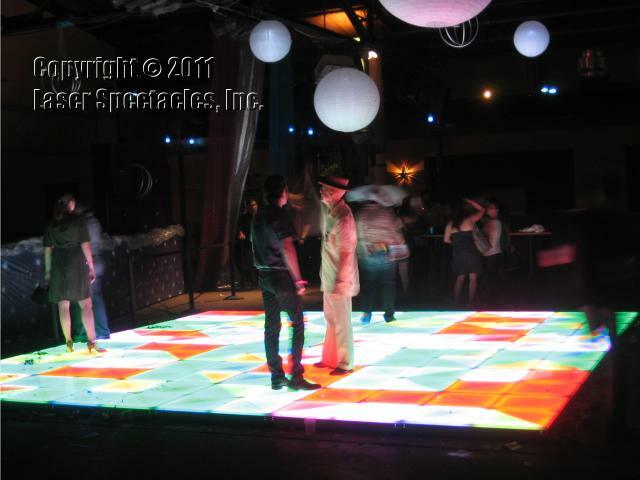 The futuristic dance floor in the pavilion was awesome – it was very bright, and DMX controlled with seemingly unlimited patterns. 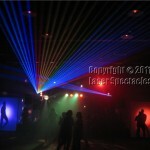 the party was supper the food was cold and had no flavor plus frozen food taste alot better with flavor . 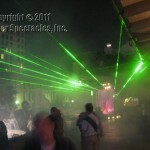 you need to do better then you did this year not enough meat for what we paid for !